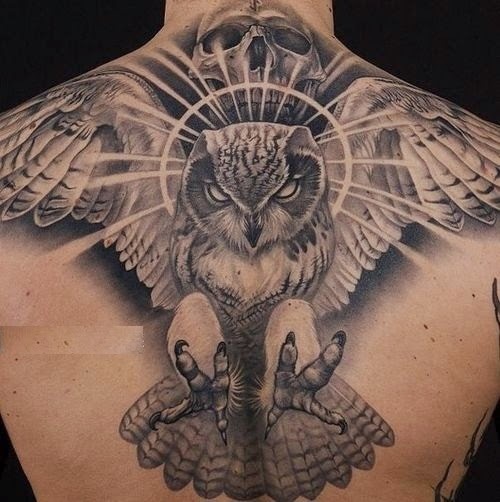 Owls are nocturnal birds characterized by an upright posture, a large, wide head, binocular vision, binaural hearing and feathers adapted for silent flight. 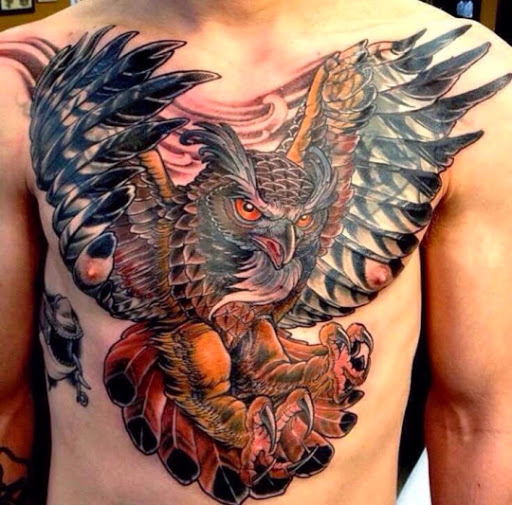 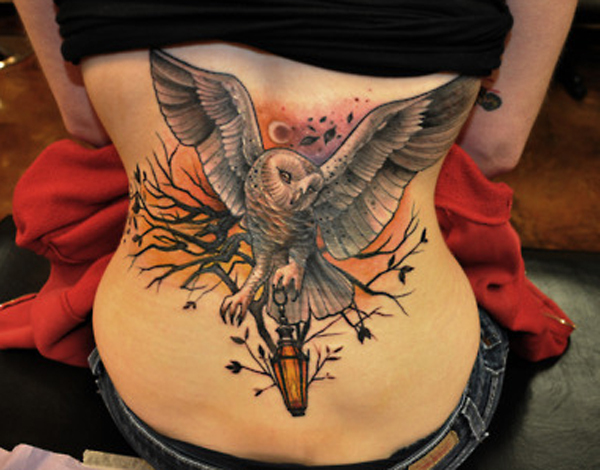 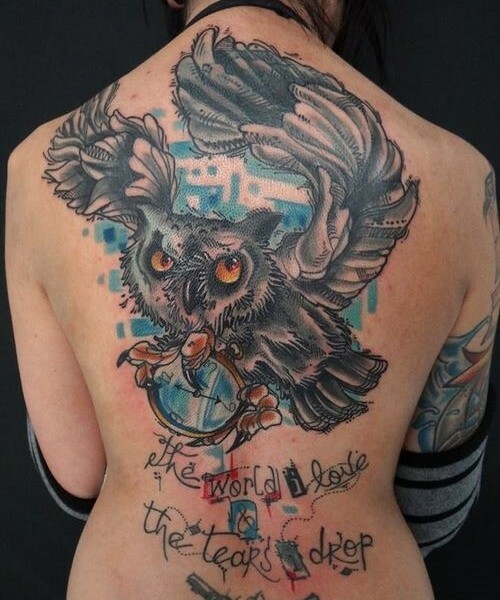 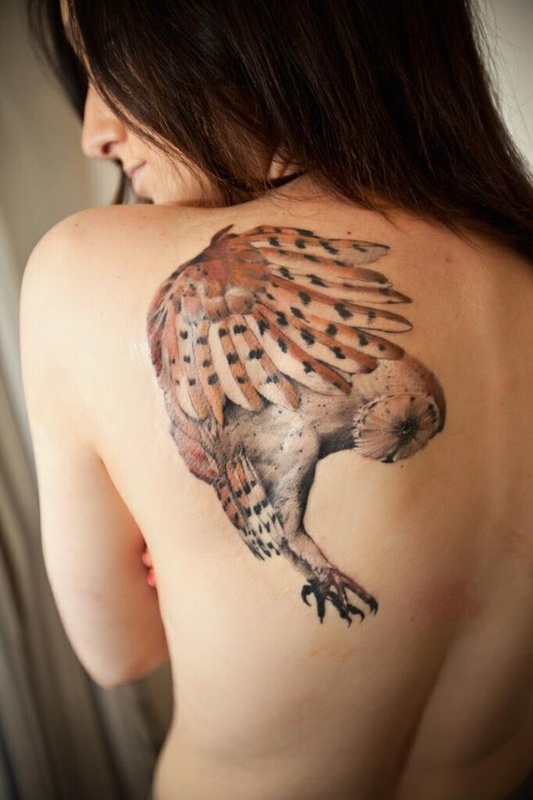 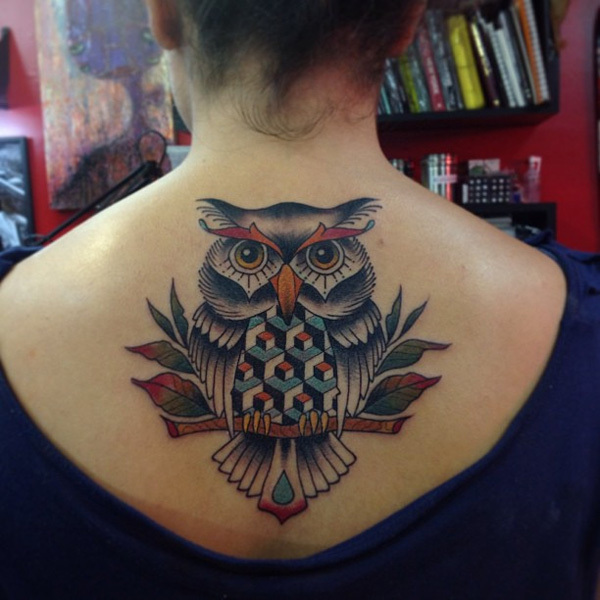 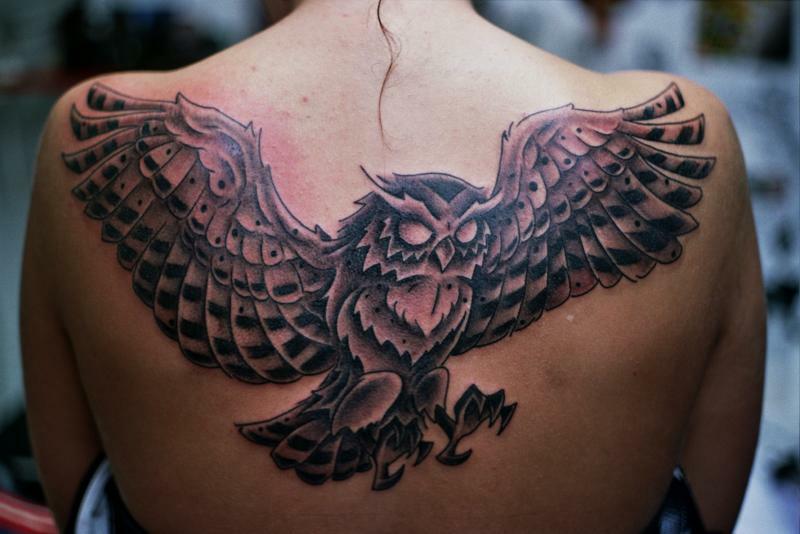 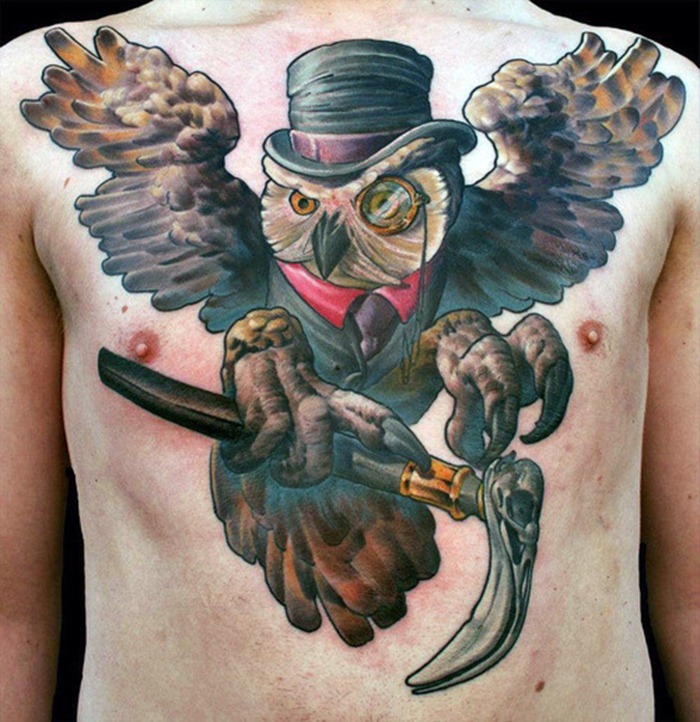 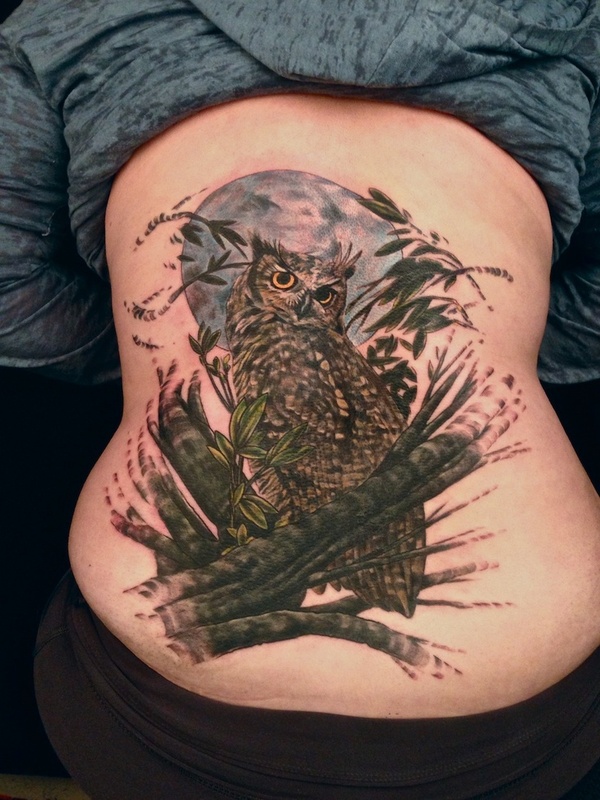 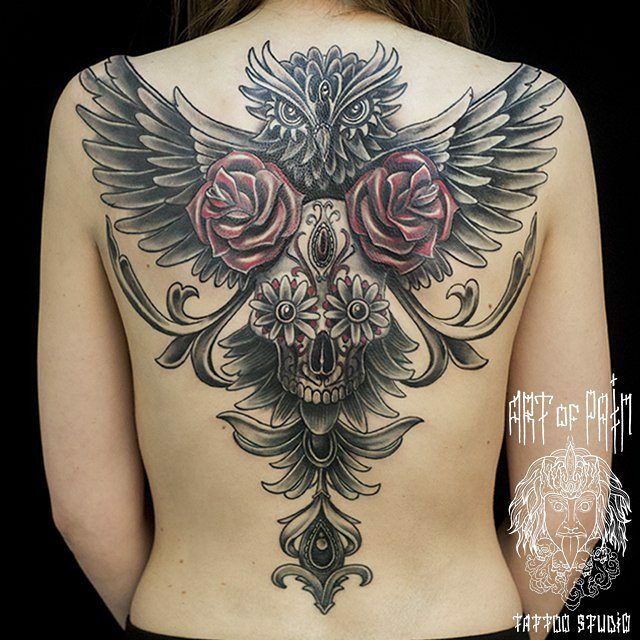 In the tattoo world, owl is one of the most preferred subjects of tattoo connoisseurs. 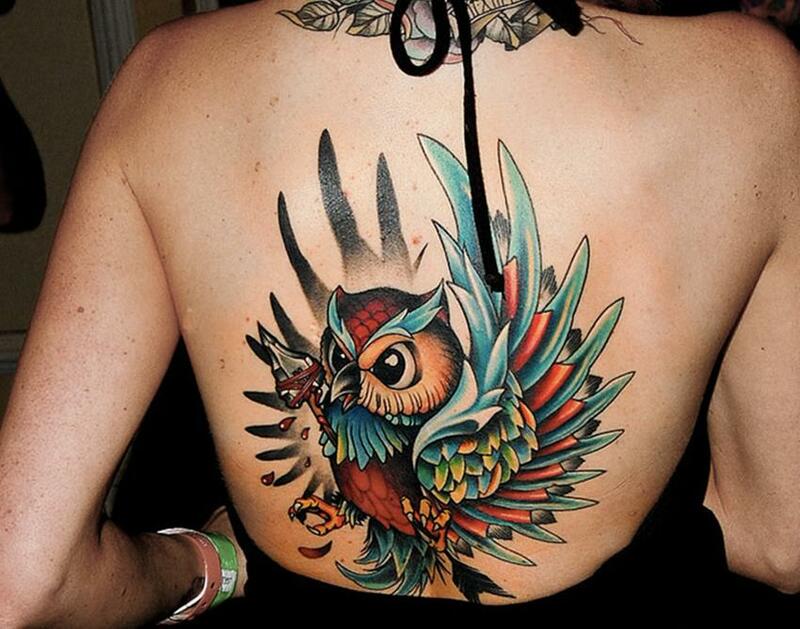 Owl tattoos have been a favorite for both men and women. 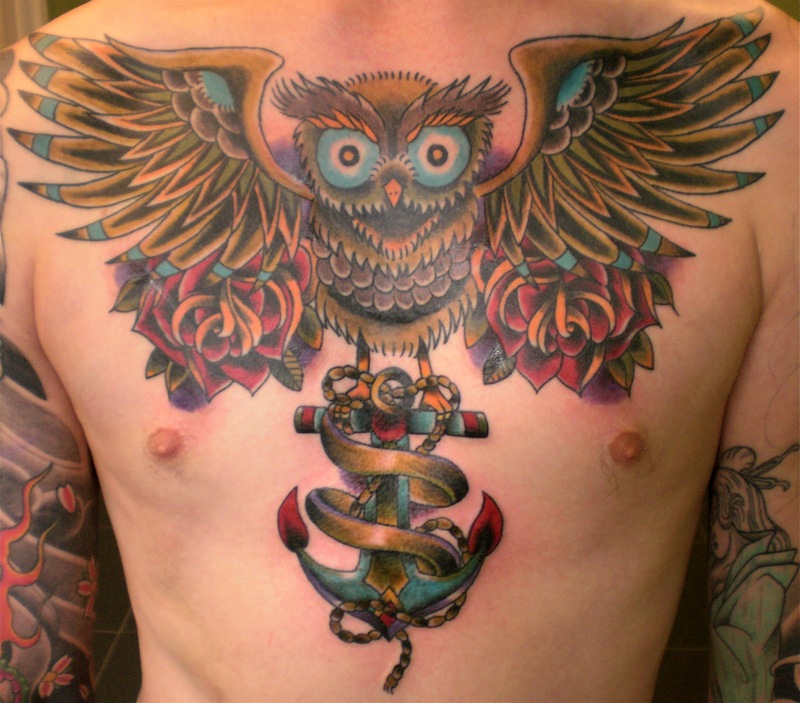 The owl tattoo is an intricate and striking work of design that is very much attractive to the eye. 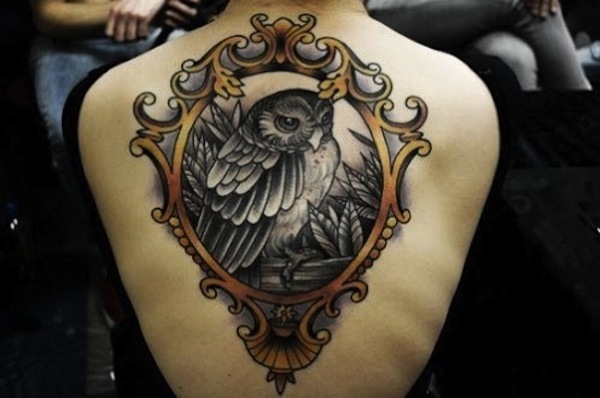 Apart from its charisma, undeniably, the owl is a carrier of many symbols. 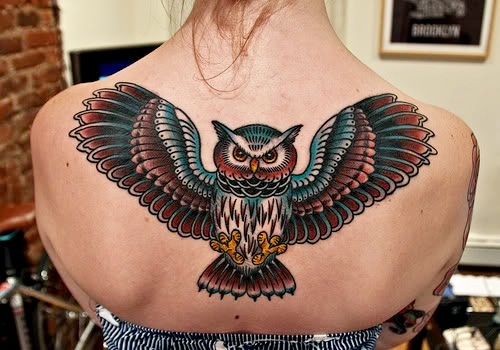 The owl is sacrosanct to the Greek goddess of learning, Athena and in Hinduism, owls are the avatars of the goddess, Lakishmi. 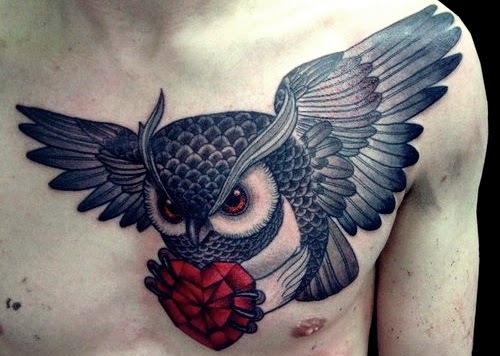 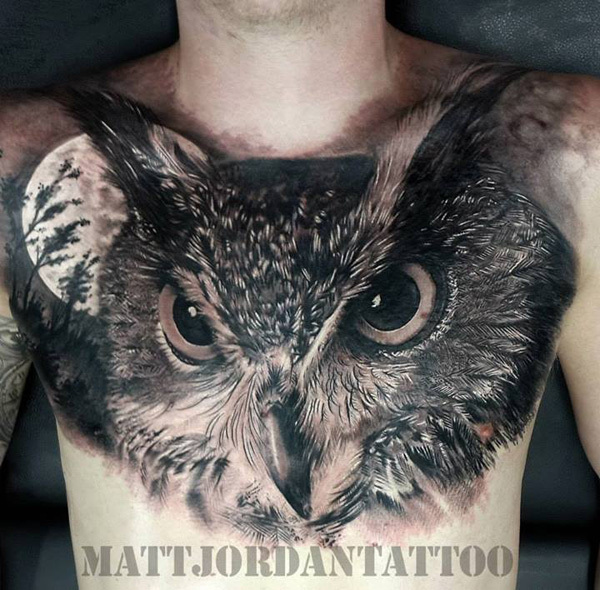 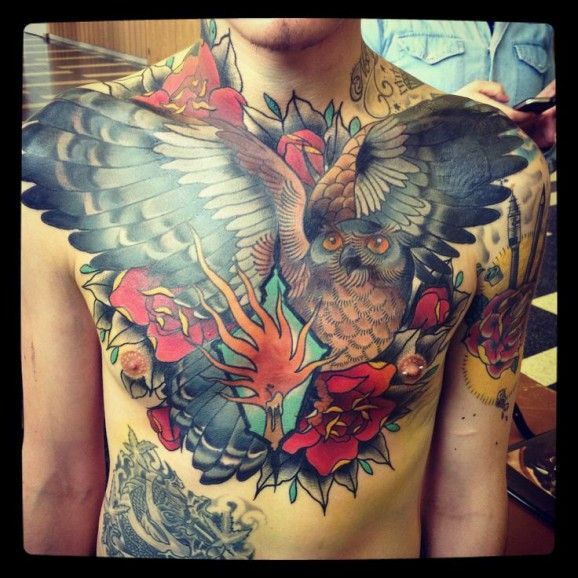 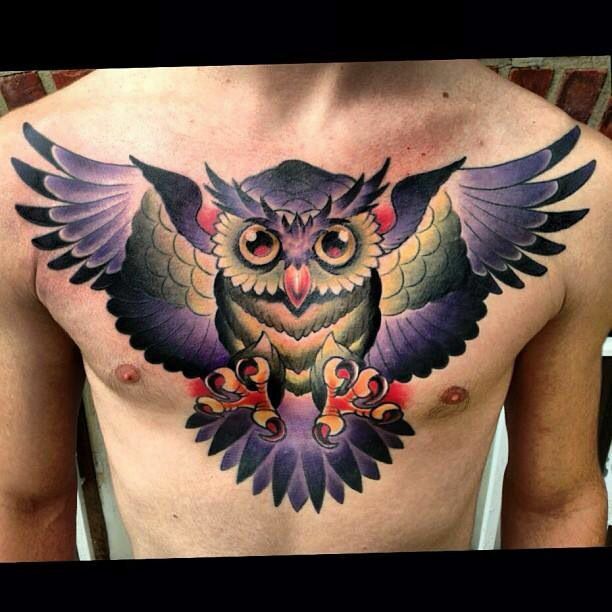 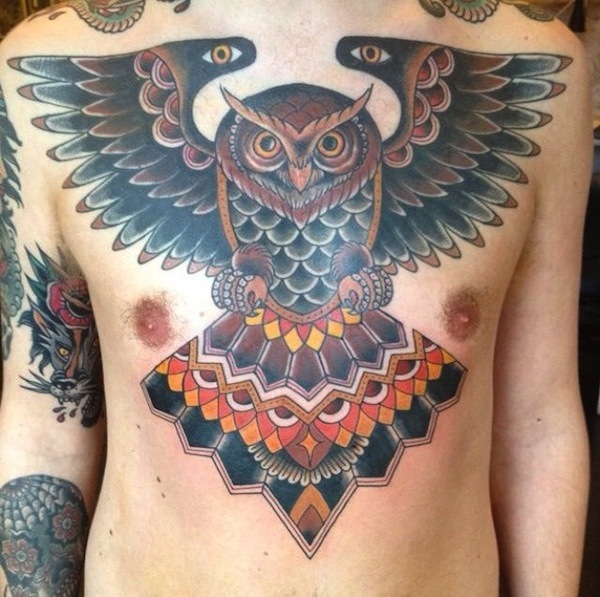 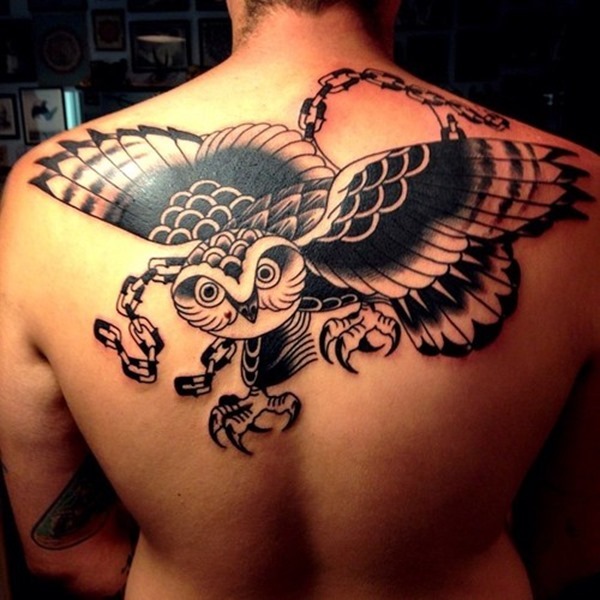 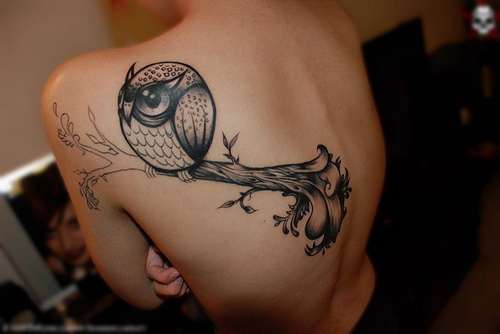 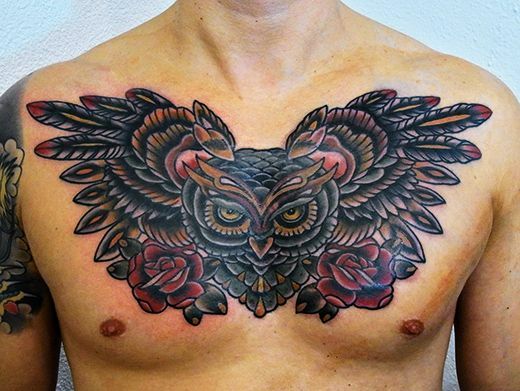 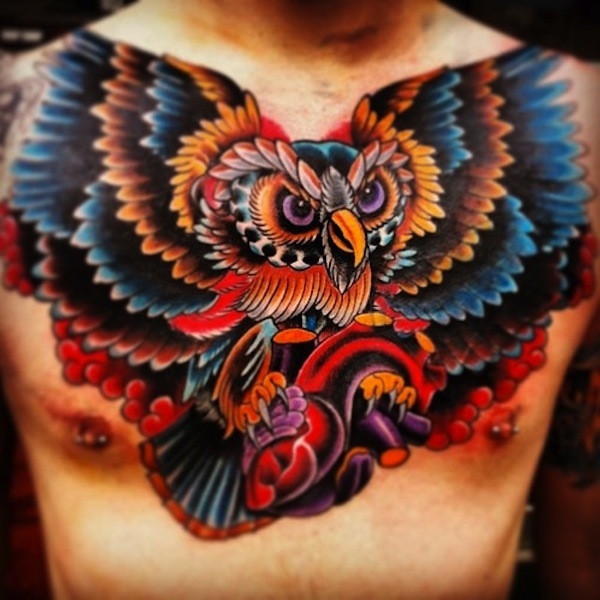 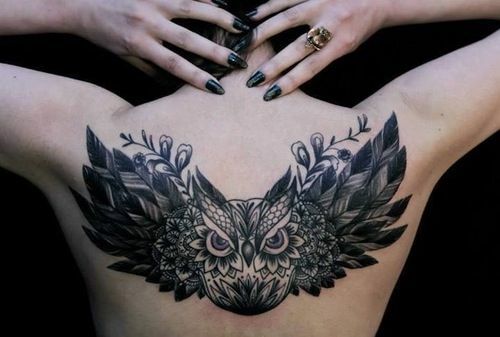 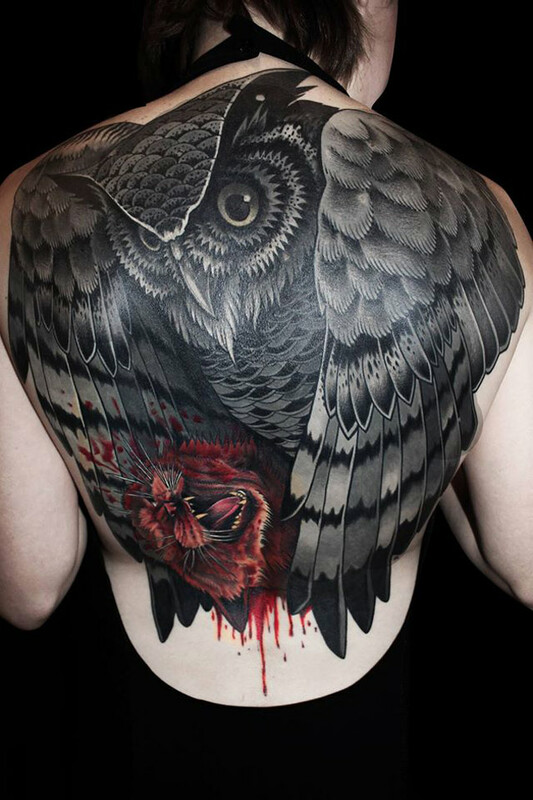 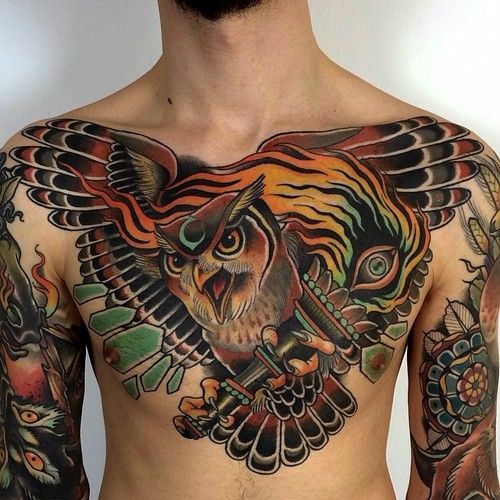 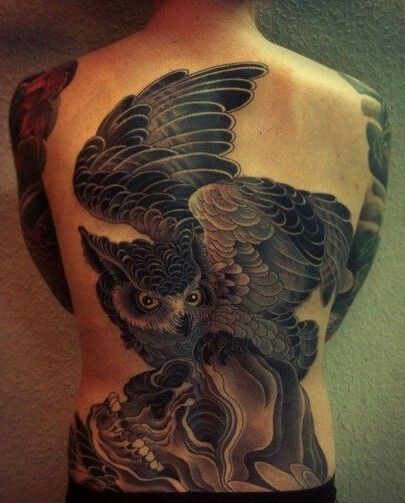 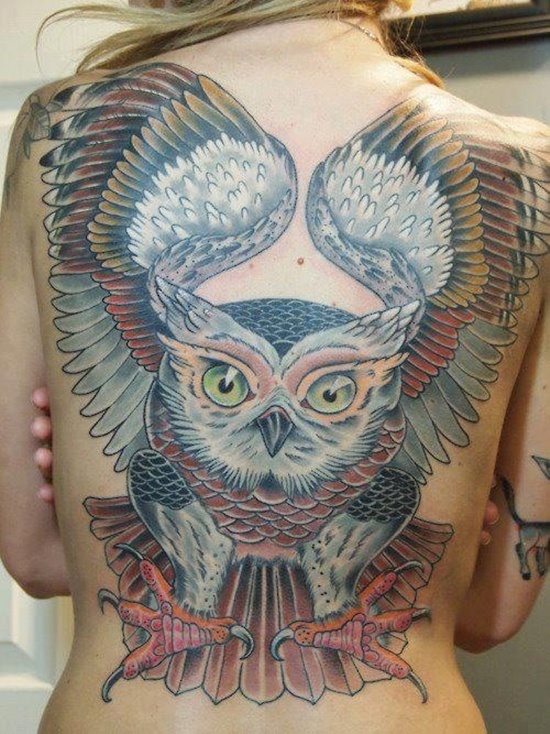 Here you can find some of the best owl chest and back tattoos to get inspired by.